IOWA PHOTO BOOTH is owned and operated by Beyond Elegance, and we are members of the America’s Photobooth Association! We are family-owned business serving the state of Iowa. Request A Quote Iowa Photo Booth is Iowa’s PREMIER Photo Booth Company. We have been renting booths for over 7 years with over 600 events worth of experience under our belts. OUR BOOTHS – We know that renting a photo booth is an expensive addition to your event, and we do not want you to be disappointed. We DO NOT use the “tent” style or “home built” style booths. We DO USE an authentic looking Classic style Photo Booth. Since we were the first classic booth company in the Des Moines area, we had our pick of photo booths to purchase, and we wisely chose the Model 12. The Model 12 if a traditional one-piece photo booth that has the classic look and feel of an old-fashioned, vintage photo booth. We are the ONLY Photo Booth company in Iowa that has the Model 12 booth and also the only company qualified to be a member of the America’s Photo Booth Association. Our setup is also quick and very easy. Since are booths are traditional whole unit booths, we do not have to put it together and assemble on site. 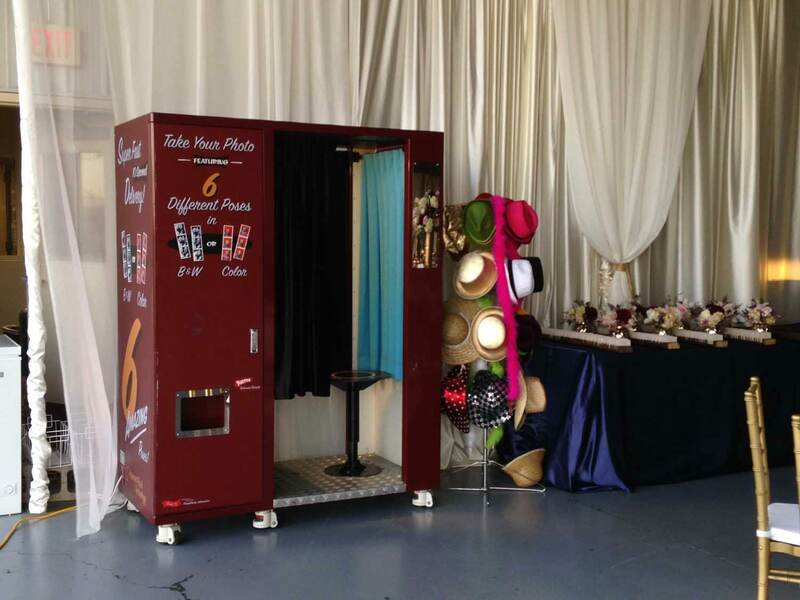 Simply put, our booth is exactly what you would expect a photo booth to look like. Rent an Iowa Photo Booth for your next event and invite your guests to STEP IN, TAKE A PHOTO AND HAVE FUN!